Jennifer is a solicitor based in Sydney, Australia. She practices primarily in the area of Family law, but she also has a background in Succession, Property, and Commercial transactions. Taking a career break in 2013, Jennifer travelled to Ghana, where she volunteered her services through the Projects Abroad Human Rights Office for five months. There, she worked at the Accra office of The Legal Aid Scheme Ghana, before meeting Frederick Opoku and turning her full attention to the establishment of Fadama Legal Assistance Program.Jennifer raised funds to set up the FLAP centre, receiving a grant from the Eastern Suburbs Law Society of New South Wales (Australia) and garnering further donations from her friends. While Frederick coordinated the construction of the FLAP building, Jennifer focused on setting up FLAP procedures and precedents, preparing instructional manuals, training the FLAP workers, and handling initial client intake. At the opening and launch of Fadama Legal Assistance Program on 19 September 2013, Jennifer said, “Today is significant for me because it symbolises just how much can be achieved when global citizens work together”. View Jennifer’s full speech here. Axel completed his undergraduate degree in law (LLB) from Queen Mary University of London in 2014. During his time as a student he was president of the Queen Mary Pro Bono Society, which now co-ordinates volunteers for FLAP and provides assistance through travel bursaries. He also joined Energy for Old Fadama in 2012. Part of the work undertaken with the pro bono society involves effective team management, securing sponsorships, co-ordinating internships and placements in the free legal advice sector and conducting fundraising efforts. 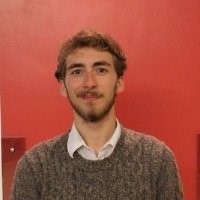 He is the founder of the QMPBS Green Law Department which secures internships with Environmental Law organizations in London for QM students and raises awareness and funds for projects with an element of environmental law whilst promoting sustainable habits on campus. Executive Director of Energy for Old Fadama. David is a law graduate from Queen Mary University, London. He is the Executive Director of Energy for Old Fadama, a social enterprise created to provide a safe, sustainable energy infrastructure to Old Fadama which currently experiences poor consistencies and a high risk of electrical fires. 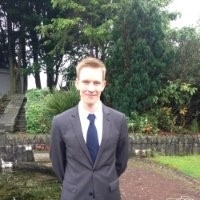 He is a trainee solicitor at Clifford Chance. Carina is a law graduate from Erasmus University Rotterdam, with specialisations in inter alia EU and International Public & Administrative law in 2012 – 2013. Carina is currently a trainee at the European Commission in Brussels, DG Development and Cooperation – EuropeAid. She is a volunteer for the International Committee of Red Cross department and humanitarian affairs, where she teaches about the humanitarian principles in armed conflict. Moreover, she is a coordinator of the Solidarity Committee, liaison for NGO EUcanaid in Brussels. She had the opportunity to work with FLAP as a volunteer at Project Abroad Human Rights Office (PAHO) in Ghana in August, 2013, where she focused on providing the residents with information on domestic violence, rental disputes, intestacy and child maintenance. She had the privilige to accompany the first FLAP-client to court. 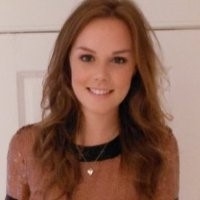 Jenny is an undergraduate final year student of law at Glasgow University in Scotland. As part of persuing her educational goals, she spent her third year in Perth, Western Australia at the University of Western Australia where she specialized in International Law subjects including International Human Rights Law. She had the opportunity to work on many projects at FLAP through her volunteer work in Ghana with Projects Abroad Human Rights Office.